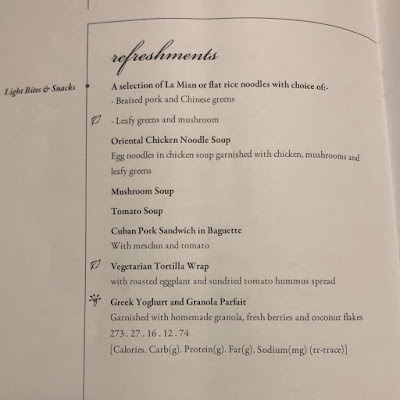 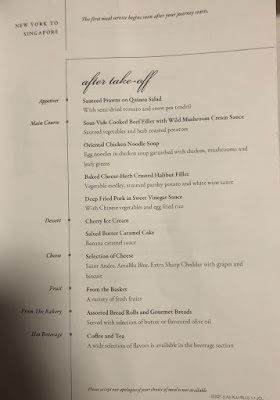 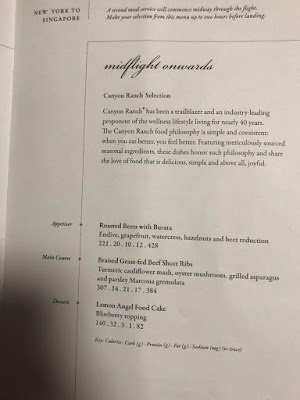 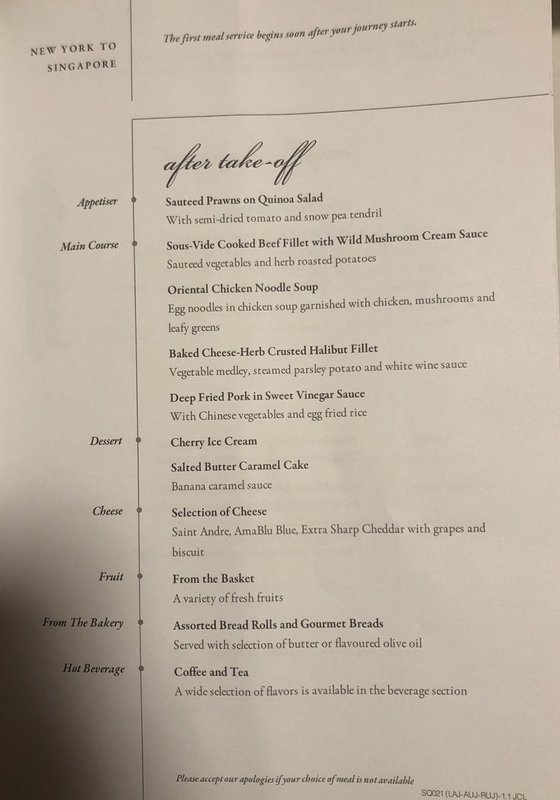 These are some of the meals served on SQ 21 from Newark to Singapore. 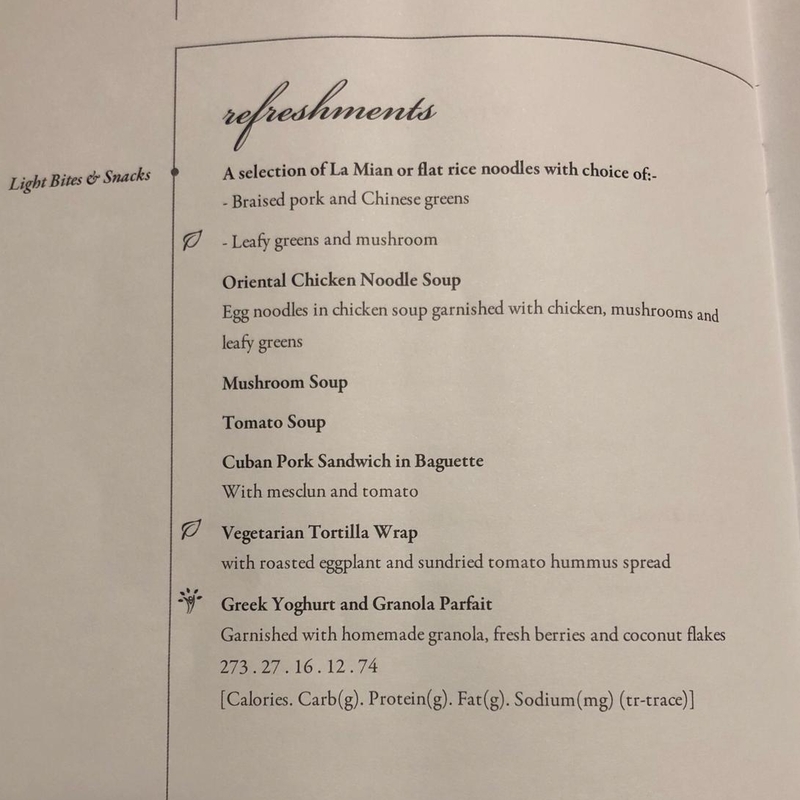 I've not included the wines and beverages lists. 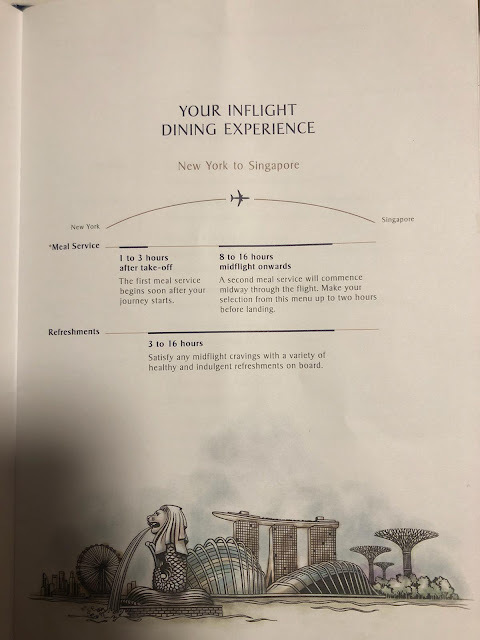 SQ 21 is a 19 hour non-stop flight. 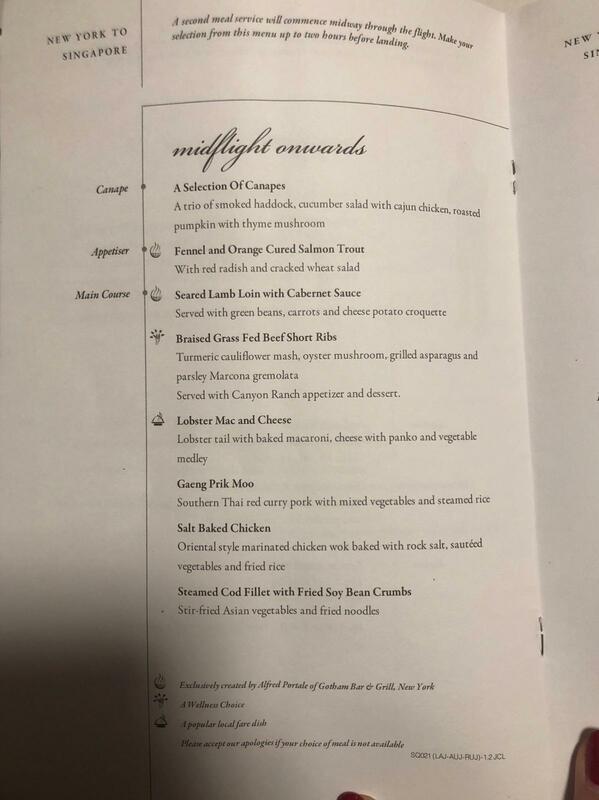 It is operated by A350-900 ULR airplane. There are a total of 161 passenger seats (67 business class and 94 premium economy). 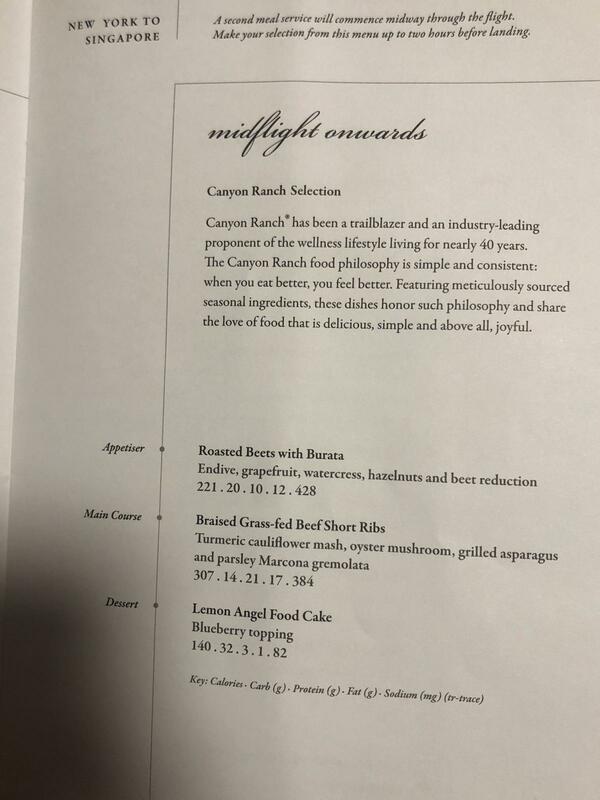 The flight is operated by 2 sets of pilots (2 captains and 2 co-pilots) and 13 cabin crew. Each cabin crew is allowed a 5 hour rest period for the 19 hour flight.